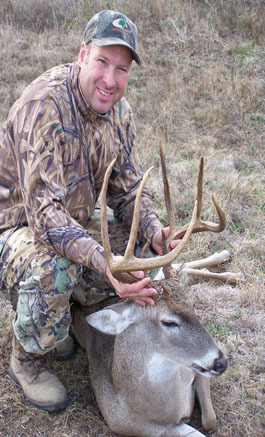 The whitetail deer on the J & D Ranch are intensively managed for trophy quality. Every year we have a wildlife biologist do an aerial survey to help us set our harvest quotas. MLD permits allow us to hunt from the beginning of October until the end of February. Our deer blinds can accomodate up to three people, which allows couples or parent and child to hunt together with a guide.